This Advance Product Information contains the specification for the 3×3 MIMO access antenna designed for the Sweratel RTWIP Carrier-class MetroWiFi Network Access operating in the 2.4 – 2.5 GHz unlicensed band and supporting the IEEE 802.11-family radio standards. 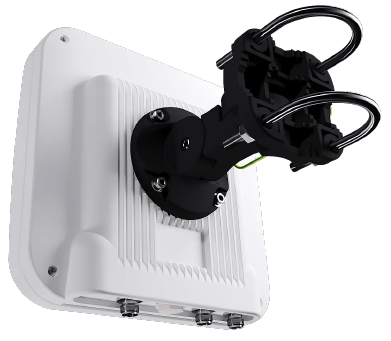 The Pard 24 access antenna includes 3×3 MIMO each with its own RF connector, and housed in a single IP67 chassis. Emphasis has been placed on rugged mechanical construction, combined with an aesthetically pleasing appearance and simple, rapid installation. The Pard 24 antenna supports multi radio systems such as Carrier-class WiFi (802.11ac/g/n etc), LTE, Bluetooth, ISM, RFiD. The Pard 24 uses polarization diversity and offset azimuth beams to maximize MIMO throughput. 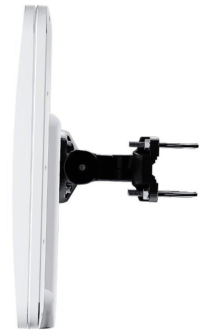 The antenna is supplied with mounting brackets for fast installation providing either a fixed T0 tilt, or adjustable tilt. The Pard 24 also supports 4×4 MIMO upon request.